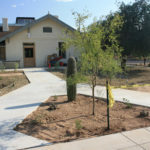 UofA Cannon-Douglas « Desert Living, Inc.
A historic building on the UA campus was undergoing renovations. 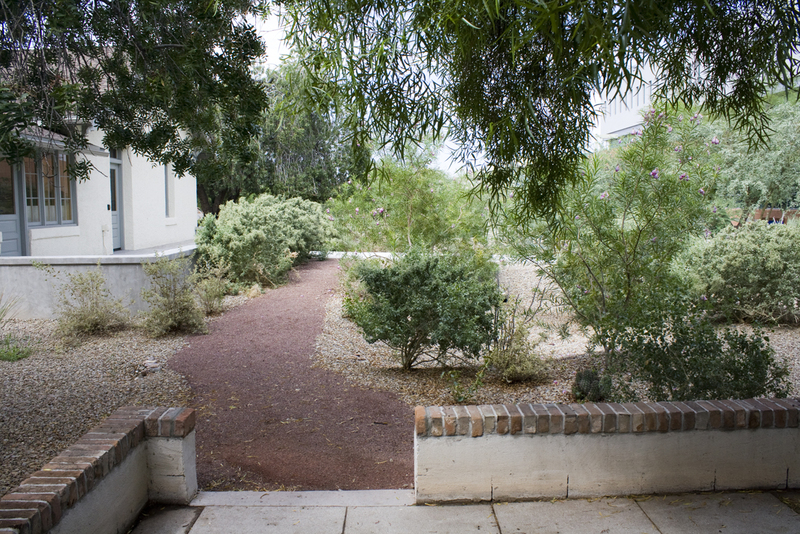 It was to be the future home of the UA College of Architecture and Landscape Architecture Research Annex. 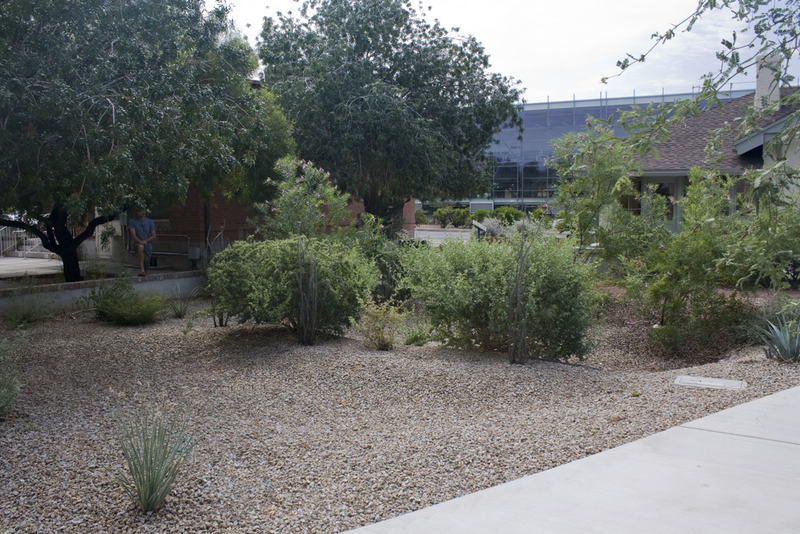 The project would have been incomplete without addressing the landscape surrounding the building. 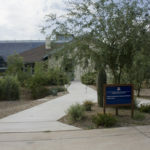 Due to the academic context of the project site, it was key to craft a design concept with strong interpretive elements. 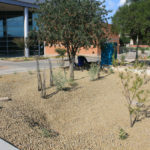 The final design was based on an aesthetic use of native plant species that have traditionally been used by native peoples for their edible and medicinal qualities. 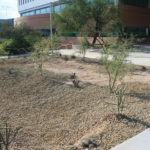 The plants selected will also serve as wildlife habitat. 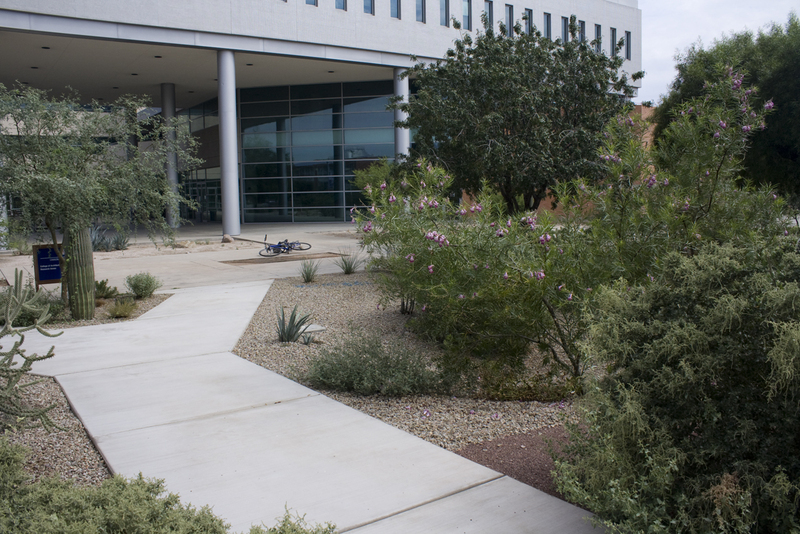 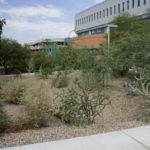 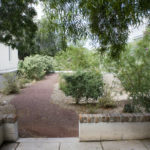 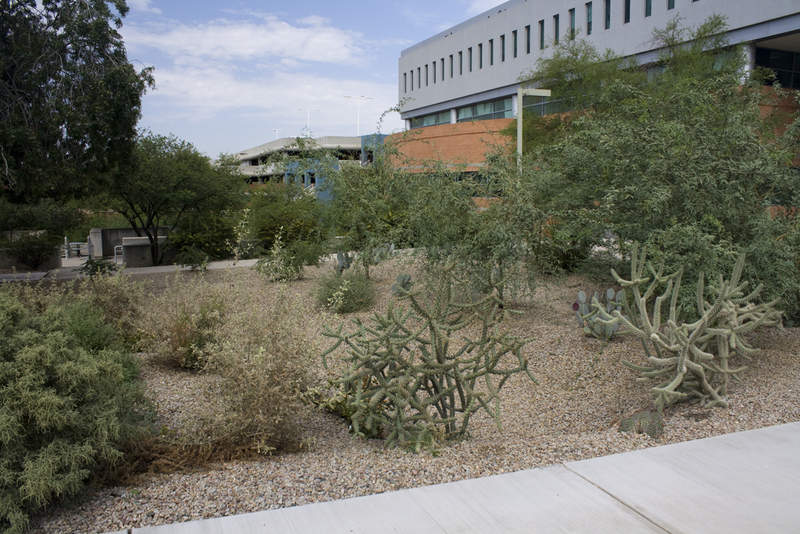 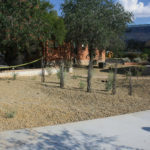 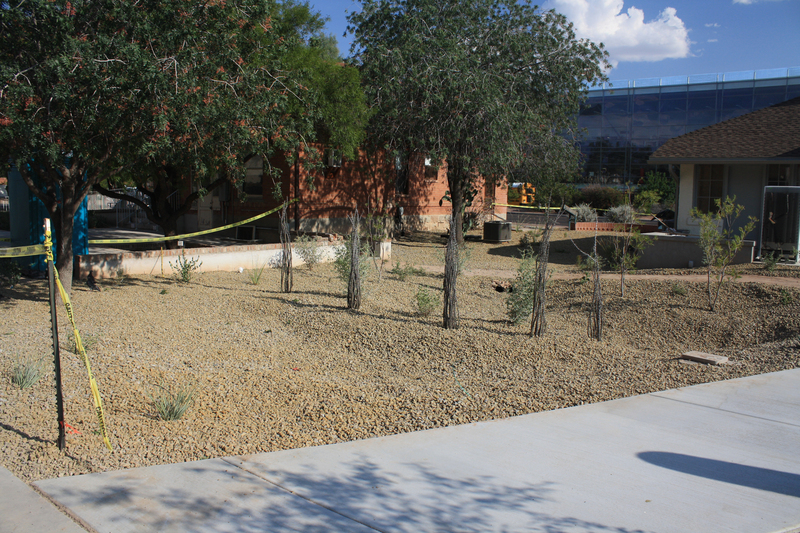 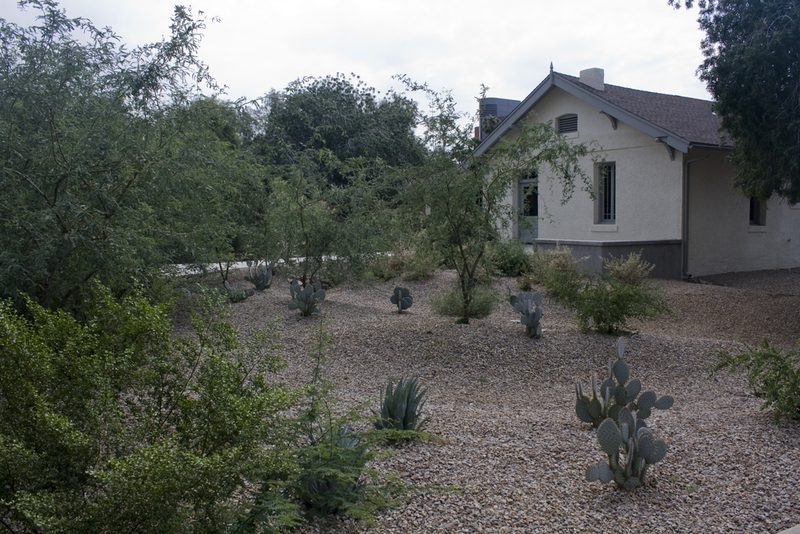 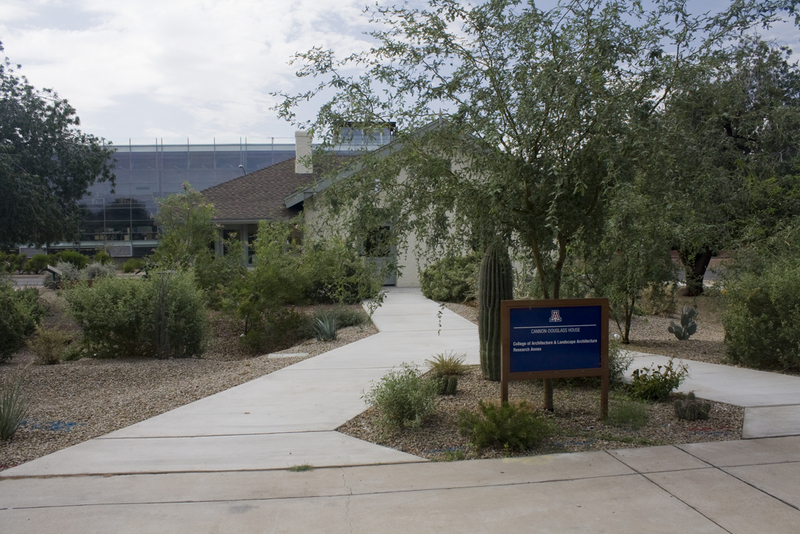 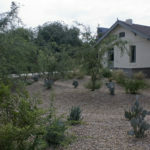 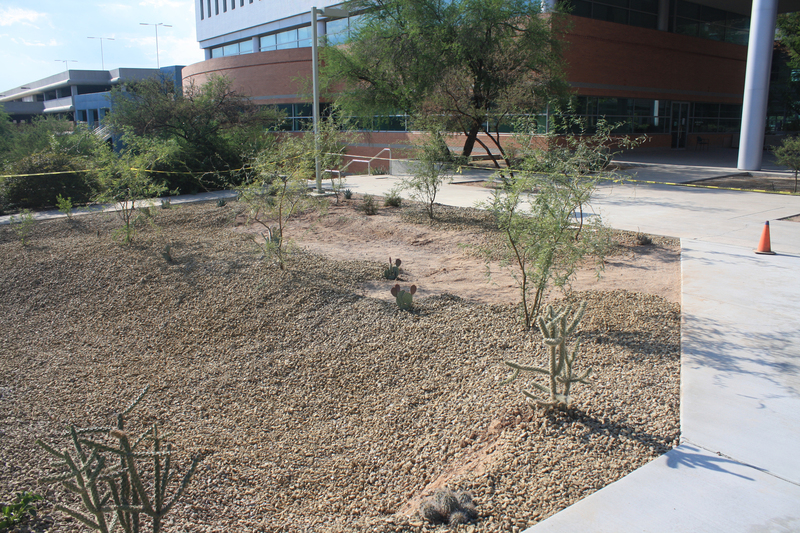 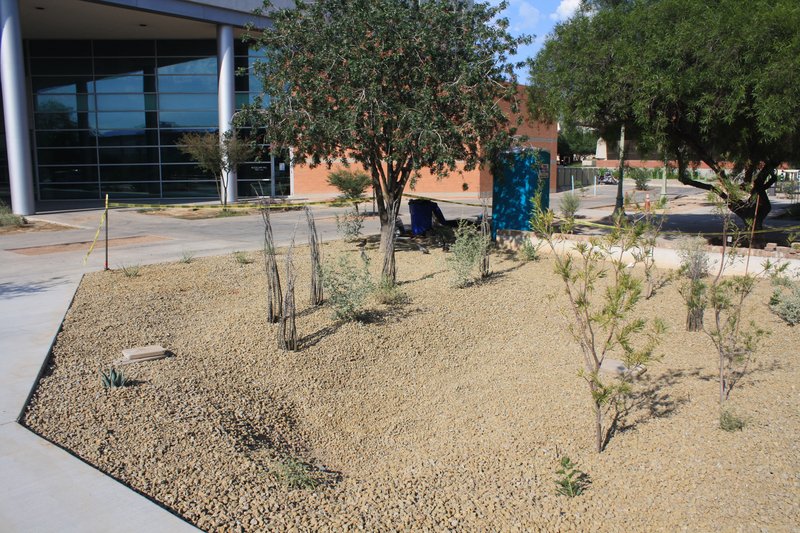 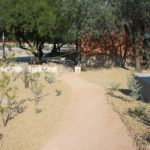 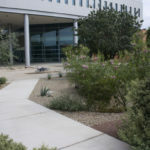 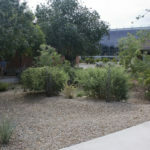 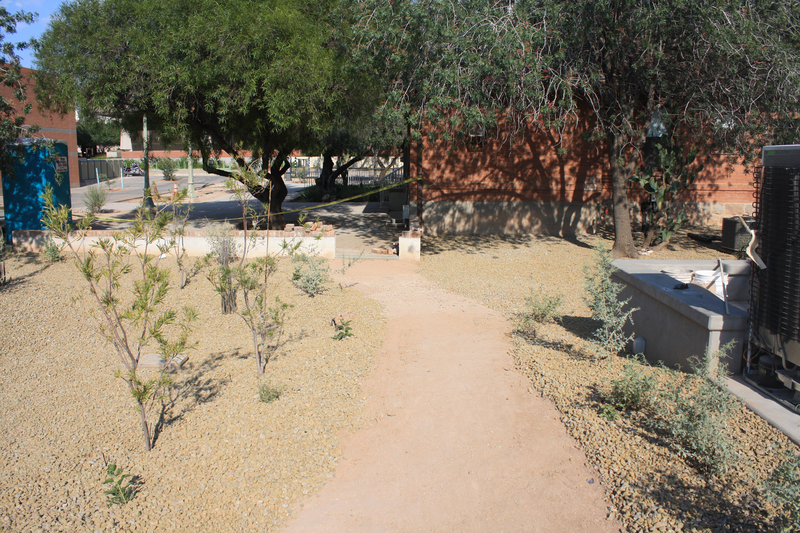 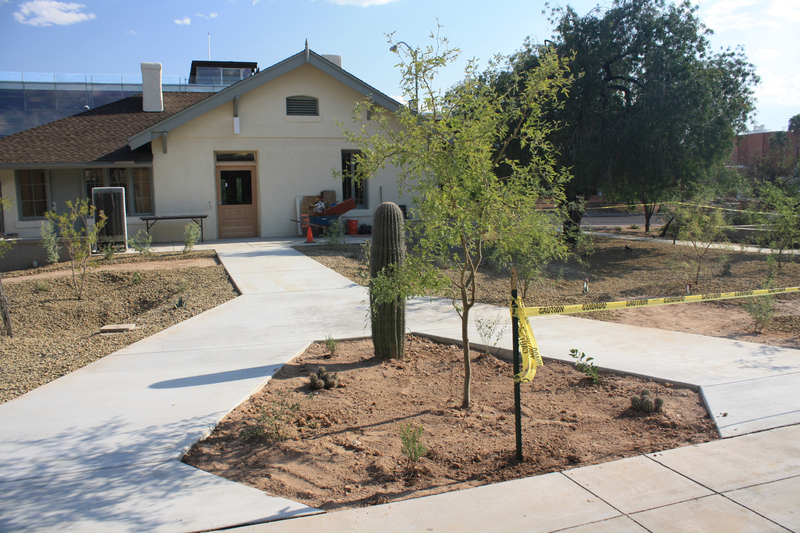 Other key features included earthworks for passive water harvesting and an informal path to connect the Cannon-Douglas building to its neighbor, also occupied by a branch of the UA College of Architecture and Landscape Architecture.